Following the First-Day-of-Issue dedication ceremony for the Harvey Milk Stamp at the White House in Washington, D.C. on May 22, 2014, City of San Francisco hosted a ceremony to celebrate the forever stamp at the City Hall on May 28, 2014. 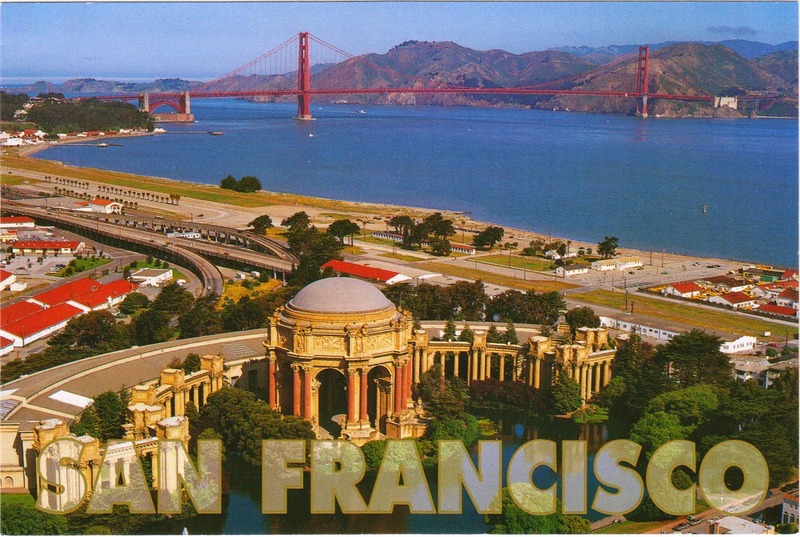 The Palace of Fine Arts postcard, one of those postcards that I am going to send out for this special cancellation, shows the remaining structures left from the Panama Pacific Exposition in 1915. It is now the home of the Exploratorium. In addition to hosting art exhibitions, it is a popular tourist attraction as well as a favorite weddings photograph location. Photo by Andrew Mckinney.